 Industrial Clutch Parts Ltd. supply a complete range of Eaton Airflex Constricting Clutches & Brakes. The drum style products expand radially inward when pressure is applied, forcing friction shoes against an outer cylindrical drum surface. Eaton's CM units are purposefully designed for Marine applications. The ventilated friction shoes to permit clutch slippage at low-energy rates during vessel maneuvering, as well as at high-energy rates for cycling engagements. Eaton Airflex Constricting Clutches & Brakes maximize performance in a diverse range of market applications, from the marine industry to braking applications on heavy-duty equipment. Available with varying torque capacities and other features to meet the most demanding requirements. Eaton Airflex CM assemblies are specially manufactured for the marine industry on diesel-driven, reverse-reduction gears. CM units feature ventilated friction shoes to permit clutch slippage at low energy rates during vessel maneuvering, as well as cycling engagements at high energy rates. Used in applications where moderate slippage is encountered which would shorten the operating life of a CB element. Rim registering allows triple element assemblies.